CLEAN. QUIET. ELECTRIC. RANGER TOUGH. 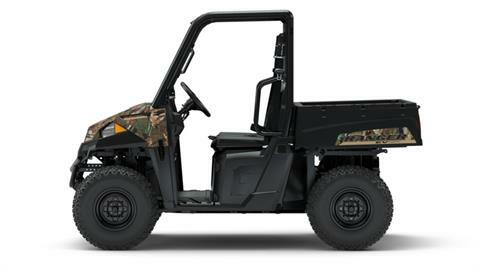 The Ranger® EV features an ultra-quiet electric motor to go with hardest working, smoothest riding Ranger performance. 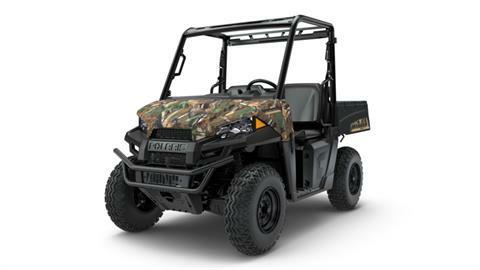 Perfect for operating inside barns or for stealthy trips to the deer stand, the Ranger never needs gas and requires very little manintenance. DESIGNED FOR ALL-DAY RIDING COMFORT: The Ranger EV is designed for all-day off-road comfort, so you can ride longer and work harder. Bench seat cab comfort for 2. 9 in. up-front suspension travel and 9 in. independent rear suspension travel. 10 in. of ground clearance to navigate tough terrain. Customizable tilt steering wheel. Ideal seat height and wide foot clearance. 58 in. width to fit in most full-size pickup truck beds. THE POLARIS ELECTRIC ADVANTAGE: 30 hp electric motor. 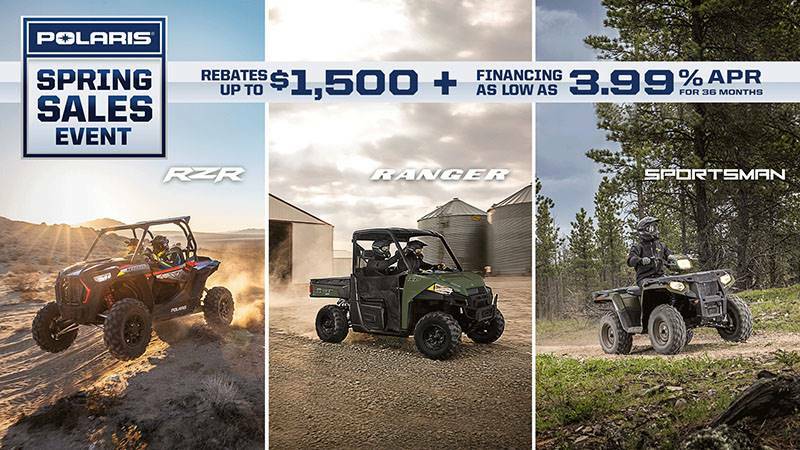 The Ranger EV's strong, reliable, low maintenance electric motor delivers the performance you need to tackle the big jobs, plus the efficiency advantages of electric power. Clean, quiet, and efficient 30 HP/48EV electric motor. True On-Demand All Wheel Drive to give you the traction you need, when you need it. VersaTrac Turf Mode for tighter turns that won't tear up your lawn. Alternating Current (AC) power supply offers superior efficiency and range compared with competitors. CLASS-LEADING PAYLOAD AND TOWING CAPACITY: The Ranger EV’s payload and towing capacity will help you tackle the truly big jobs and get more done in fewer trips. Massive 1,500 lb. of towing capacity. 1,000 lb. of payload capacity. Standard 2 in. receiver hitch. Gas assist dump box with 500 lb. capacity. Convenient integrated storage options.